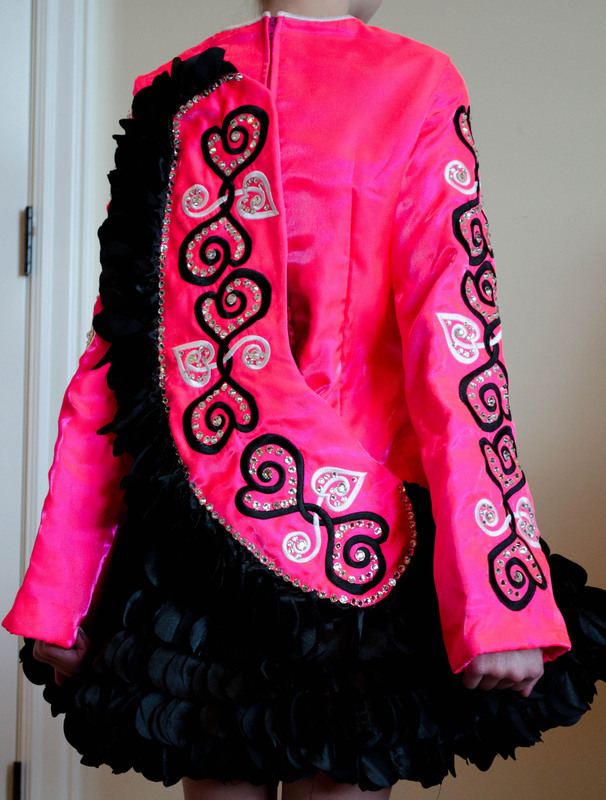 Shiny, iridescent pink bodice with black laser-cut satin heart ruffle skirt. Tons of clear crystals. This dress has been well cared for and is in perfect condition. It is fully lined, light weight and has always been worn with an undershirt for protection. 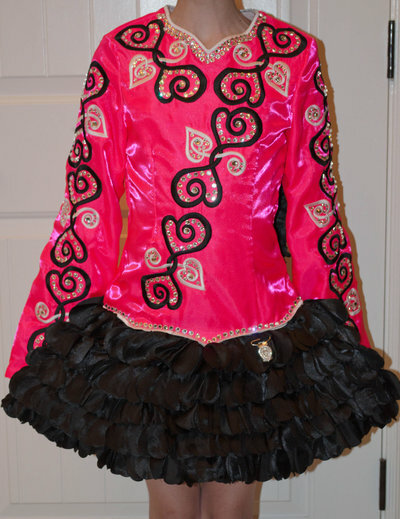 My dancer recalled at the last Oireachtas in this dress. 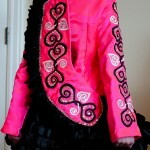 It is very sparkly and eye-catching on stage. From a smoke-free, pet-free home. It was made for my slim petite dancer. It would fit someone who is about 4′4 – 4′8. Asking Price: $US750. Shipping costs are included for my own country, overseas shipping is extra. Will accept returns and refund the cost of the dress, buyer to pay all shipping costs.